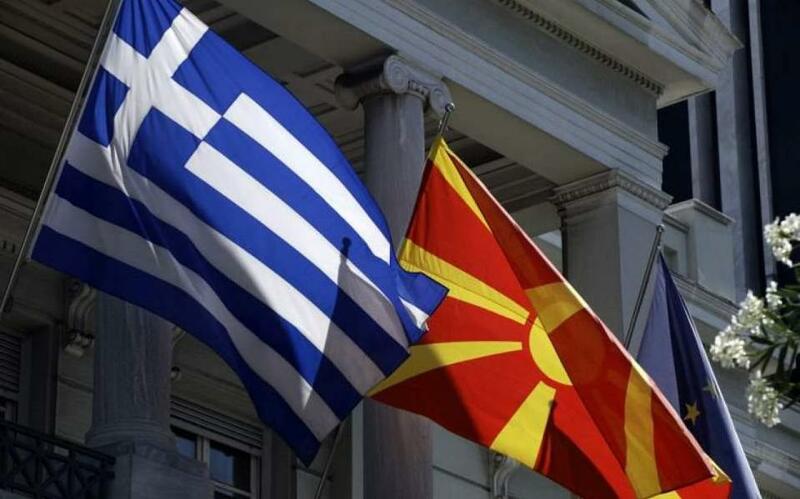 The name dispute between Greece and the Former Yugoslav Republic of Macedonia (FYROM) will reportedly be discussed at a prime ministerial level in the next few days, reports from Skopje said on Friday. According to the tiny Balkan country’s Prime Minister Zoran Zaev, the meeting will take place on January 24 on the sidelines of the World Economic Forum in Davos. Even though Athens by late Friday had not confirmed the meeting, Greek Premier Alexis Tsipras described the latest round of negotiations as a “historic opportunity” to resolve the decades-old name dispute between the two countries. Tsipras told NATO Secretary-General Jens Stoltenberg in a phone conversation on Friday that a solution must adhere to the decisions taken at the NATO summit in 2008, when it was agreed that Greece will accept a composite name including the term “Macedonia” and that Skopje will not be allowed to join the alliance before a solution. Meanwhile, FYROM Foreign Minister Nikola Dimitrov expressed suprise and disapproval at comments made by Skopje’s negotiator Vasko Naumovski after the meeting in New York on Wednesday with his Greek counterpart Adamantios Vasilakis and United Nations special mediator Matthew Nimetz. Naumovski had described the proposals made by Nimetz as unacceptable and lacking in dignity. Speaking to a TV station in Skopje, Dimtirov said Naumovski’s comments were “made for domestic consumption” and expressed concern that they could create problems for the negotiations as they were widely broadcast in Greece. “FYROM doesn’t have the luxury to forfeit another opportunity to resolve the name dispute issue,” he said, adding that an agreement would lead the Balkan country out of its isolation and put it on a course for accession to the European Union and NATO. However, he defended the “Macedonian” ethnicity of his fellow countrymen. In the meantime, a day after meeting with Tsipras, Greek Archbishop Ieronymos met on Friday afternoon with President Prokopis Pavlopoulos at the Presidential Mansion to convey the Church’s stance on the issue. Ieronymos on Friday lauded Pavlopoulos for his stance on the issue and his understanding of the Church’s concerns. Demonstrations are scheduled to take place on Sunday in Thessaloniki, northern Greece, to protest the use of the term “Macedonia” by FYROM in an eventual solution.